The Little Green Men are Here – Now What? Here’s the documentary that presents the most credible witnesses to UFo sightings in our time. The questions that get raised are: 1) when will the government(s) finally disclose to people what is actually going on? 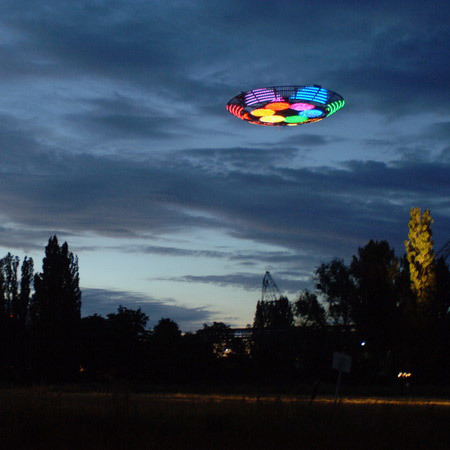 And 2) why will they not tell the truth to the people about numerous UFOs visiting Earth? It must be remarked that the government who has been most organised, secretive and repressive at keeping the whole thing hushed up and hidden is? You guessed it. Uncle Sam. Meanwhile the French and the British have declassified all their documents. So . . the fact is that the cat is well and truly out of the bag. Don’t believe it? watch the doco embedded below. In answering these questions . . .it’s really quite simple.When Uncle Sam will finally come clean is anybody’s guess. And why they are still not revealing the truth? Well . . . if the Uncle Sam admitted that these UFOs are here and they know all about it, people would start to ask the question about the fuels that these UFOs use. That’s the hardest part to explain and deal with. Particularly if you’re heavily invested in burning fossil fuels. Perhaps that issue of the energy source . . . is where it would get very embarrassing indeed. Well . . .the little green men are here now what? There was a documentary embedded here however it has now been blocked by A&E on copyright grounds: Wikipedia tells us who they are – A&E Television Networks (Doing business as A+E Networks and formerly also known as AETN) is a U.S. media company that owns a group of television channels available via cable & satellite in the US and abroad. The company is a joint venture between Hearst Corporation and Disney-ABC Television Group, a subsidiary of The Walt Disney Company. NBCUniversal was also a part of the joint venture, with Hearst and Disney each owning a 42.5% stake and NBCUniversal owning a 15% stake, but in July 2012, NBCUniversal confirmed plans to sell its 15.8% stake in A+E Networks to Disney and Hearst, who will become 50-50 partners in the joint venture. I would not suggest that NBCUniversal or The Walt Disney Company are actively involved in suppressing the truth. The way that systems work they (Disney) really do not need to be intelligent about suppressing the truth. The very activity of such an organisation will tend to obfuscate the truth. This is because being essentially part of the broader environment – business, government, entertainment – in which the problems of humanity are embedded, their very energy and activity will tend to inhibit the truth being made clear and manifest. Enjoy the Disclosure Project Documentary.